Fezzari showcases its attention to detail with the FXE, a fixed gear bicycle with lots of features in store for riders hooked on fixies. The FXE per se is a good bike and sold at a very competitive price, but if you’re assigned in areas with little paved road, you’re better off with hard tail or a hybrid bike. 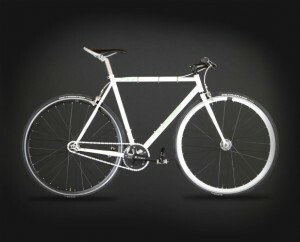 First of all, the FXE is a single speed fixed gear bicycle. Fixed gear feels different and requires some time in getting used to it. If you are into fixed gear then the FXE is a great choice. 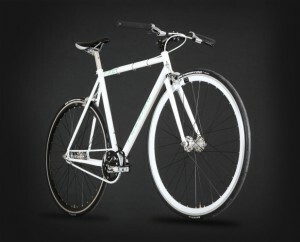 The minimalistic design, the components, and the price make it an awesome fixed gear bike. Your maintenance costs are also likely to be much, much lower. Get FXE at a discounted price when you buy it direct from the manufacturer . Fezzari currently offers free shipping and $0 sales tax (Utah excluded) to stretch your dollar even more. This entry was posted in Fezzari, Single Speed and tagged FXE, LDS mission bikes, Single Speed. Bookmark the permalink.